Each year, millions of Canadians retire and face the big adjustment of life on a fixed income. The transition from wage earning years to retirement is never easy; and with 15% of Canada’s population 65 years of age or older, working professionals who interact with elders are in a unique position to meet the needs of this growing demographic. The Elder Planning Counselor (EPC) course is a series of informational workshop-styled seminars offered at Ashton College in partnership with the Canadian Initiative for Elder Planning Studies (CIEPS) and is the first elder-focused educational course of its kind. It is designed by Canadians and for Canadians. The comprehensive classroom modules that make up the EPC curriculum are designed to enrich the knowledge and understanding of those working with the 50+ age group by educating them on the evolving and specialized needs of Canada’s elders. Delivered by industry experts, Ashton’s EPC course will enable you to assist the elderly in financial planning and care, using the terms they will accept and appreciate. Anyone working with or caring for individuals over 50. Rhona Konnelly has over three decades of diverse insurance, financial and estate planning experience. She has served for many years in senior Specialist and Director roles with some of Canada’s leading financial services organizations. Rhona earned her Chartered Life Underwriter’s Degree (CLU) in financial services and estate planning in 1998. In 2005 she received the Elder Planning Counselor (EPC) designation and Certified Professional Consultant on Aging (CPCA) designation; both of these credentials build on her in-depth experience and assist her in advising elders and their families on the financial, social and health aspects of retirement. Becky Wong holds a Bachelor of Commerce (Honours) from the University of Manitoba and has a wide variety of accreditations, including the Certified Financial Planner (CFP), Financial Management Advisor (FMA) and Elder Planning Council (EPC). Becky owns a financial planning practice and is also a contributing editor for Canadian MoneySaver Magazine. Dan Levitt shepherds the enhancement of social, spiritual and care needs for more than 300 seniors, inspiring a team of over 400 employees and volunteers with a commitment to continuously improving the quality of life. Dan is an Adjunct Professor in Gerontology teaching Long-Term Care Administration at Simon Fraser University. He has appeared on television and radio as well as authoring many articles in newspapers and professional journals. His insights on seniors care leadership are sought after at events across Canada, the United States, Europe, Asia, Australia and New Zealand. For more details, please see our Admissions Policy. This course is delivered in-class from our Vancouver campus. 23 hours (including final exam hours). Start date coming soon, please contact us to be added to the waitlist. M4: Communication and Other Issues. The registration fee for this course is $1,044. A strong woman, an involved immigration consultant and a passionate educator, Rosanna Pancotto is an example of hard work and perseverance in everything she does. A professional with over 30 years of experience, Ron McKay was appointed as a Director, Immigration Practitioner Programs. Ron shares his career journey and hopes for the future of Immigration Consulting. In June 2018 the Immigration Consultants of Canada Regulatory Council (ICCRC) released an update on standards for Registered Canadian Immigration Consultants (RCIC). This update includes information about changes that have been implemented and those that are pending, to improve immigration services for customers of these services and to increase public confidence in standards required for RCICs. What does it take to run a successful immigration business in Canada? This question is always on top of the agenda for recently graduated immigration consultants who want to enter this business but don’t know where to start. Two graduates of the CELPIP Preparation Program at Ashton made these two videos to explain more about the program, and how a high level of English Language proficiency is crucial for immigration to Canada. There are two options for demonstrating English language proficiency and that are accepted by Citizenship and Immigration Canada; the question is, which is the best test for you? Amr Shokry is an instructor in the Diploma in Human Resources Management. In this playlist, Amr gives his insight into current trends in HR. If you are looking at updating your credentials or are on your way towards a professional designation in Human Resources, you may have to write a National Knowledge Exam (NKE). Here are some preparation tips! Sheri Gulston is a Certified Professional Bookkeeping and Accounting Officer at Ashton. We met with Sheri to find out more about her career journey as a Bookkeeper. Sylvain Charbonneau is a Communication and International Trade Manager and Educator with over 15 years of experience. Read more about his journey from an Ashton student, to an Ashton faculty member. Here are a few simple QuickBooks tips that can help you make the most out of your QuickBooks experience. QuickBooks Online or Desktop: which version should you choose? Make an educated decision on the best software for your bookkeeping needs. With no legislated standard in place for those who offer financial planning services, almost anyone can call themselves a financial planner. What steps do you take to get certified? 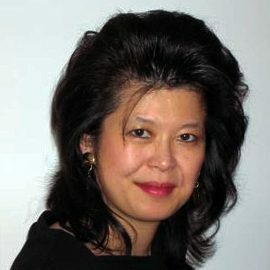 Becky Wong is a Certified Financial Planner (CFP), Financial Management Adviser (FMA), and instructor at Ashton College. Bobby Ning, co-founder of the Financial Literacy Counsel, shares his career journey from criminology to financial planning. Is Your Financial Planner Scamming You? A good financial planner can help you build a successful fiscal foundation. But how can you tell a good financial plan from a scam? Is financial planning beneficial for all Canadians? Or is it for people with a huge cash flow? We unravel the myths of Financial Planning in Canada. Ask Bonnie Angelini what she’s passionate about and she’ll tell you that she absolutely loves helping others. Find out more about her career in Financial Services. Once David Francilia recognized his interest in and passion towards business and finances, he chose to pursue a different career path. Here is a step-by-step guide to his career change! Read three faculty members’ insights into the harmonized LLQP. 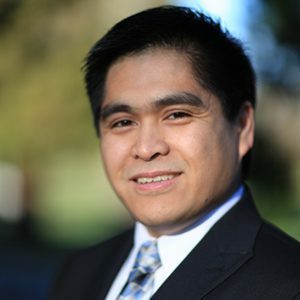 Ashton faculty member Bryan Dar Santos is the owner of FDI Financial Diagnostics Inc., and a financial advisor with over sixteen years of experience. Elders and seniors have an entirely unique set of issues, needs, and values that aren’t always recognized in society. Learn how the EPC can help with this demographic. A Senior Insurance Specialist at Edward Jones, Rhona Konnelly is a pioneer in the field of Financial Services. For Mark Goodwin, the skills of detection he used working for over three decades with the London Metropolitan police force carry over into his work as a home inspector every day. Mark Goodwin, a licensed home inspector and an instructor at Ashton College, shares his tips for those considering a home inspection of their property. Most home buyers wouldn’t think about skipping an inspection on a house, but what about a condo? We are regular contributors to TradeReady, the digital publication of our partners at FITT (Forum for International Trade Training). “I grew up in the family of accountants, so I was pushed towards that career… But I decided to try out something different,” shares Jabeen Boga, Ashton’s HR instructor. The workplace is an ideal setting for promoting healthy behaviours and preventing disability and disease through healthy, safe work environments. Check out this expert advice on implementing wellness tips in your office. David Fairbairn shares how hands-on education helped him in his pursuit of a career in home inspection. Together with Sheri Gulston, Ashton’s Accounting Officer, we explore the roles of a professional bookkeeper. Our faculty share key tips to help you succeed in your immigration selection interview. The minimum Express Entry selection score in 2017 was 415 CRS points? Enter your email address below to subscribe to updates for this program, including upcoming start dates and intakes. David Dalton has been a wealth management professional since 1997, as both an institutional advisor and an independent financial planner. He holds the CFP, CLU, CHS, and CPCA designations. Besides instructing for Ashton College since 2006, he has presented at dozens of community engagements for non-profit groups, government agencies, trade shows, and consumer groups on topics from socially responsible investing, all the way to taxation and estate planning. Financial literacy is near and dear to him and educating and training those who advise others is particularly fulfilling. 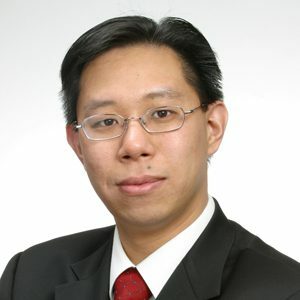 Jason Wong has extensive knowledge in the wealth management industry, and has been practising financial planning since 2001. Jason started his career through the financial advisory channel in one of the major banks. He then moved on to the independent channel to assist his individual and business clients to achieve their financial goals through comprehensive financial planning. Jason is also a consultant supporting financial advisers providing wealth management solutions to their clients. Jason holds several industry accreditations: Certified Financial Planner (CFP), Chartered Financial Analyst (CFA), Financial Management Advisor (FMA) and Derivative Market Specialist (DMS). He holds a Master of Business Administration from the University of Manchester, which is consistently ranked as one of the top global business schools under the Financial Times Global MBA rankings. Bryan Dar Santos is a financial educator and investment specialist with nearly two decades of industry experience. Bryan has spent years training and supporting hundreds of financial advisors across Canada and is the founder of FDI Financial Diagnostics Inc., an independent investment analysis firm for advisors and retail clients. Bryan is passionate about helping Canadians understand the financial industry, specializing in explaining complex financial concepts in simple terms. From 2012 to 2014 he published “FinanceWorks.ca” a national consumer magazine that connected finance to our everyday lives and helped Canadians to earn, grow, save and protect their money. Peter Labrie is a finance expert who has been practising for over 20 years. Peter has global experience in the financial services industry, having worked in countries such as France, China, the Netherlands, Singapore and the United States. Peter is educated in finance and industrial psychology and is knowledgeable in business development, process improvement, managing a corporate treasury, and negotiating large-scale business deals. Rhona Konnelly is an accomplished Insurance and Estate Planning Consultant with over 28 years of diverse financial and estate planning experience. She has served for many years in senior specialist and directorship roles with many of Canada’s leading financial services organizations, including Investors Group, Nesbitt Burns Financial Services Inc., Berkshire Insurance Services Inc., Canada Life Assurance Company, and Foresters. Rhona earned her Chartered Life Underwriter’s designation (CLU) in financial services and estate planning from the Canadian Association of Insurance and Financial Advisors (CAIFA) in 1998. In 2005, Rhona received the Elder Planning Counselor (EPC) designation through the Canadian Initiative for Elder Planning Studies and the Certified Professional Consultant on Aging (CPCA) designation through the Society of Certified Senior Advisors. Rhona is also the President of the North Shore Vancouver Chapter for CARP (Canada’s Association for the over-fifties). Ian Whiting obtained his Chartered Life Underwriter (CLU) designation in 1987 while completing his Investment Funds Institute of Canada (IFIC) qualification. He completed his Fellowship in the Life Management Institute with a specialty in Financial Services in 1988. In 1989, Ian completed qualifications for his Chartered Financial Consultant (CFC) designation. In 1992, he qualified as an Associate of the Academy of Life Underwriters and in 1993 he completed his Associate, Customer Service designation program through LOMA. In 1997, Ian qualified as a Certified Financial Planner (CFP) and also completed his courses and exams to obtain the Associate, Insurance Agency Administration designation. In 1999, he completed the study and examinations to qualify as a Trading Officer, Partner and Director for Mutual Funds with the BC Securities Commission. As a result, he is also qualified as both a Branch Compliance Manager and Head Office/Provincial Compliance Officer. Although Sam Sharma began his career in the sciences, earning himself a Bachelor of Science and a Masters in Materials Chemistry from the University of Jamia in New Delhi, India, he made the leap to the world of finance a few years later when he graduated with a Master of Business Administration (Finance) from the University of New England in Australia in 1996. Launching his career in the financial services industry, Sam has worked mostly for banks, earning himself awards and recognition for his achievements. Sam teaches Ashton College students about mutual funds in the Canadian Investment Funds course. Byron Boone has nearly three decades of financial sales and management experience. A believer in continuous learning, Byron holds a Bachelor of Arts (Economics) from the University of British Columbia, an Executive Master of Business Administration from Simon Fraser University, and a Certificate in Financial Management from British Columbia Institute of Technology. Byron also has more than a dozen finance-specific licences and designations, including the Life Licence Qualification Program (LLQP) and Certified Financial Planner (CFP). Becky graduated with a Bachelor of Commerce (Honours) degree from the University of Manitoba prior to entering the financial services field. Being a true believer in continuous learning and formal education, Becky has continued to earn a wide variety of accreditations including the Certified Financial Planner (CFP), Financial Management Advisor (FMA), and Elder Planning Council (EPC). In addition, she has an extensive financial background at senior levels that encompass over three decades in banking, insurance, and investments. Contact an Admissions Officer to register.